Denver Plastics Nebraska offers fully automated presses with 6-axis robotic stacking and part retrieval. 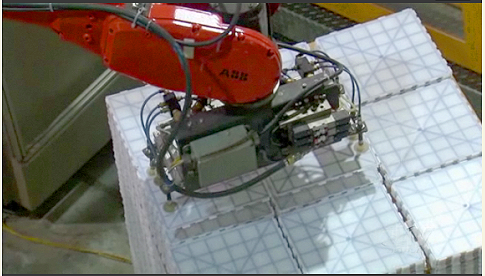 These 6-axis robots can easily transfer and stack finished components for efficient and immediate shipping. Servo robots are uniquely suited to pick & place as well as perform material handling, packaging, assembly, loading, testing and dispensing tasks. Our presses range from 77 tons to 2200 tons. At Denver Plastics Nebraska, additional capabilities include custom decorating, product assembly, and full packaging with on-time, "Just-in-Time" delivery.